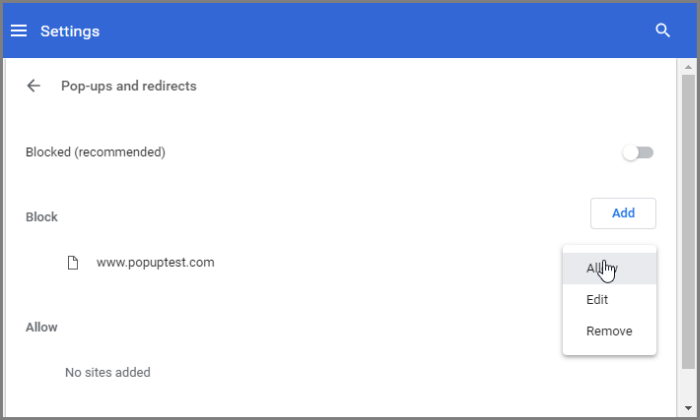 You can configure Comodo Dragon to block, allow or selectively allow pop-ups. You can see this icon: at the top-right side of the address bar of the browser whenever a pop-up is blocked. 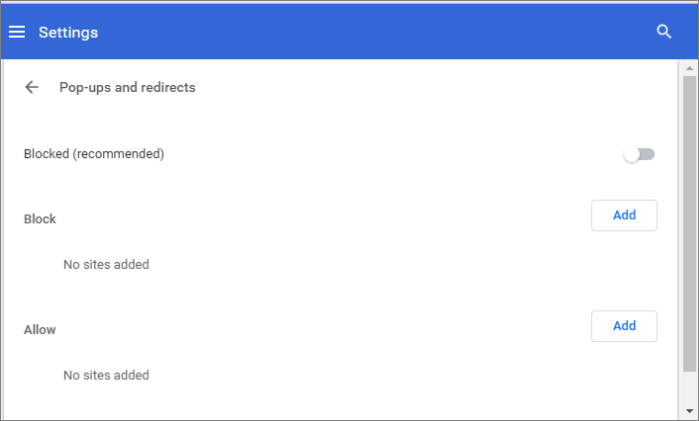 Select 'Allow / Blocked (recommended)' to allow / block all pop-ups. Click 'Add' buttons next to customize your settings for blocking /allowing pop-ups. Enter the web address of the web-page in the 'Add a site' text-box. Click 'Add' to close the dialog. Click the 'ellipsis' button next to URL to enable or disable it, edit or remove from the list. 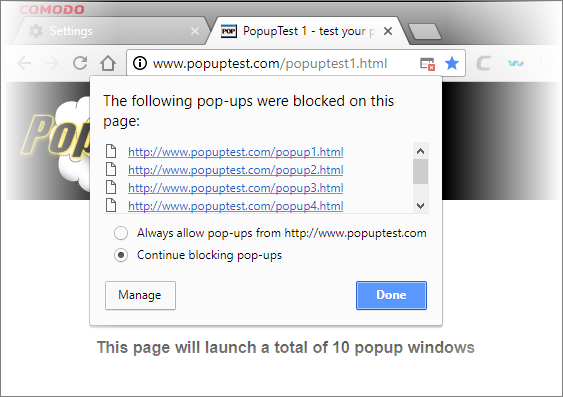 To view the list of pop-ups that were blocked, click the icon in the address bar. In the list that is displayed, you can view the pop-up window by clicking on it. Click the 'Manage' button to configure how you want Dragon to handle pop-up windows.